No news at present on the planning, the epetiton stands at 478 so far, way way off target, if you haven't already please spread the word, it is not just about airships the housing will kill the sheds in the long term, my reasons are listed below. sCa. 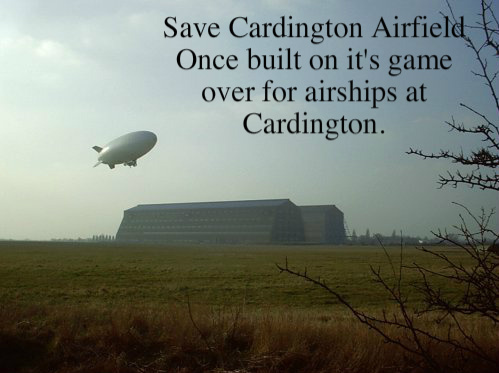 The E-petition is here, please sign if you are a UK citizen and are concerned about the redevelopment of the cardington airfield site, remember if the development goes ahead its game over for airships at Cardington. we need 100,000 signatures to get this matter raised in parliament so please sign and get anyone you know who cares about their local heritage and future of the UK's last great airship base. The sheds are safe, Fosbern are restoring shed 1, this is fantastic news, however it comes as shocking news of Fosberns other plans for the airfield, plans that will kill off any airship related future to this unique old airfield. A Poem by T Monk. 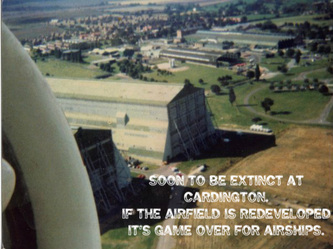 Cardington is a unique site, nowhere outside the Americas has facilities like Cardington. perfect for large airship construction and flying. without the airfield that will cease to be the case. The developers are wishing to build on the airfield, in the form of houses and an "employment area" right inside the airfield, this will basically make the airfield unusable. 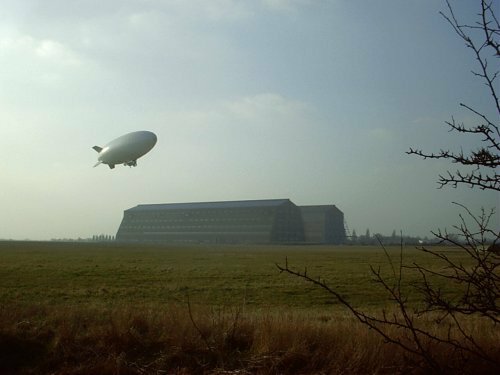 that along with the plans for balancing ponds on the airfield will all but kill off any future airship industry, airships are on the rise, Bedfordshire company HAV were based at the sheds but have now moved to cranfield due to the state of shed 1.
what happens 30 odd years down the line?? the houses plan is a one trick pony, once that ace is played that's it, there will be restrictions on shed use, reducing the sheds profit making capability and reducing its capacity to fund its own maintenance in the future. what then?? A restored shed will make money, airfield events, balloon festival, airshows, filming in the sheds, visitors centre, concerts, Music festivals, proms, band rehearsals and of course airship manufacture, test flying, pleasure flying ala zeppelin in friedrichshafen. all these will make money, lots of it, keeping it in use all year. just look at the Vulcan team keeping that fine airplane in the air, donations and events and more, they have done a fantastic Job in raising funds, similar work for the sheds as well as the uses above will more than 1, fund restoration and 2, make a profit. the housing and warehousing is not needed. 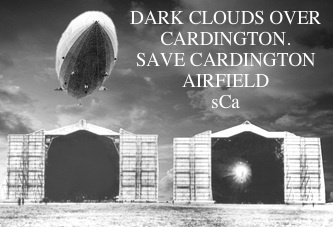 So i ask you to give your support for the airfield, remember the development will greatly impact in an already heavily developed area, Shortstown has doubled in size due to the new cardington development, these extra houses and business will cause problems, traffic is an issue with roads into shortstown and possibility of them linking a road onto southill road and into cardington. its not just the airfield issue its a rural issue also. and it is def not a case of NIMBYism.